Forest Garden Large Timber Cold Frame: are you ready to move some of your youngster plants away from your greenhouse, but worried that adverse weather can still harm them? 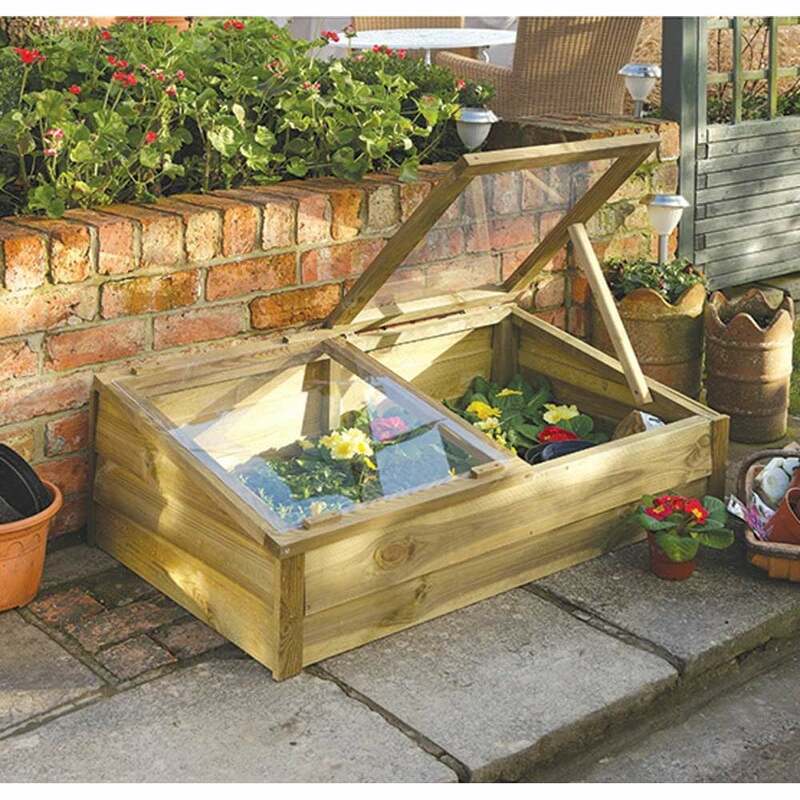 If yes, you need a cold frame. The Forest Garden Large Timber Cold Frame is a gorgeous cold frame in which your young and sensitive plants can grow without artificial heat whilst protected from the elements. The acrylic glazing top will allow tons of sunlight but will prevent the heat from escaping during the night, protecting your flowers all the way until they are ready for the next step. The Cold Frame plays the important role of a floral incubator and once your plants have grown strong enough, you can finally properly plant them outside to officially become part of your garden. The two autonomous opening lids sport a prop each to adjust the opening. It is recommended to use a weed block fabric in the frame’s base to prevent weeds from growing around it.